Commercial boilers are larger boilers over 70 kW in output. Sometimes the size or layout of a home will mean that the best solution is a Commercial boiler. A Commercial installation is also governed by the volume of Gas in the pipework after the Gas meter. Therefore if your Gas meter is a long way from where your boiler needs to be sited it may need to be a Commercial installation. Not all heating companies are able to install Commercial boilers as this requires extra training and accreditation. Not only does Buxton Heating have this qualification but we are also experienced in installing commercial boilers and systems in a domestic setting. We understand the high specification and finish required in a home rather than an office setting and are able to work to your requirements. 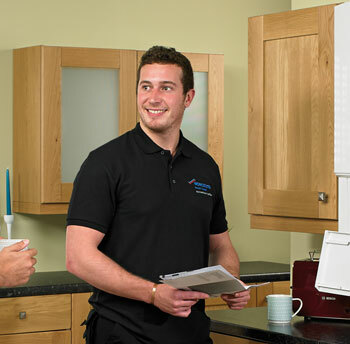 Should you require a Commercial boiler replacement in your office, shop or workplace, Buxton Heating are able to work around your working environment in order to minimise disruption to your business. All new boiler installations are ‘A Rated’ Environmentally-Friendly. They are all registered with & certified by GAS SAFE and/or OFTEC (Oil Boiler installations). Buxton Heating’s team of specialist commercial boiler engineers have many years of experience in the installation of commercial systems across the region. From our base in Haslemere to Petersfield, Guildford, Woking and everywhere in between, if you require a commercial boiler talk to us today to find out more about how we can help you.